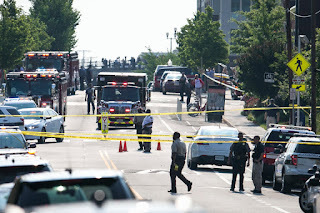 Now there already have been and will be more people on the left who will take the opportunity to make fun of those shot, celebrate the shooting, claim that this is not terrorism, or start saying "Well, what about X?" as a way to change the narrative. You don't have to like Steve Scalise, a morally vacuous man who has played footsie with the Klan and white nationalists, or Republicans in general to understand that some people are literally playing with fire. People had no problem getting that concept when the execrable Sarah Palin used bullseye pictures to list members of Congress who needed to be, in her opinion, taken out. Well when some people use apocalyptic fire breathing eliminationist language about the danger and wickedness of Republicans or view each and every conservative plan or program as tantamount to apartheid, ethnic cleansing, or Nazi inspired genocide, it's not too surprising when someone else acts on those statements. It's worth repeating over and over and over. The only justification for violence is imminent self-defense. That's it. 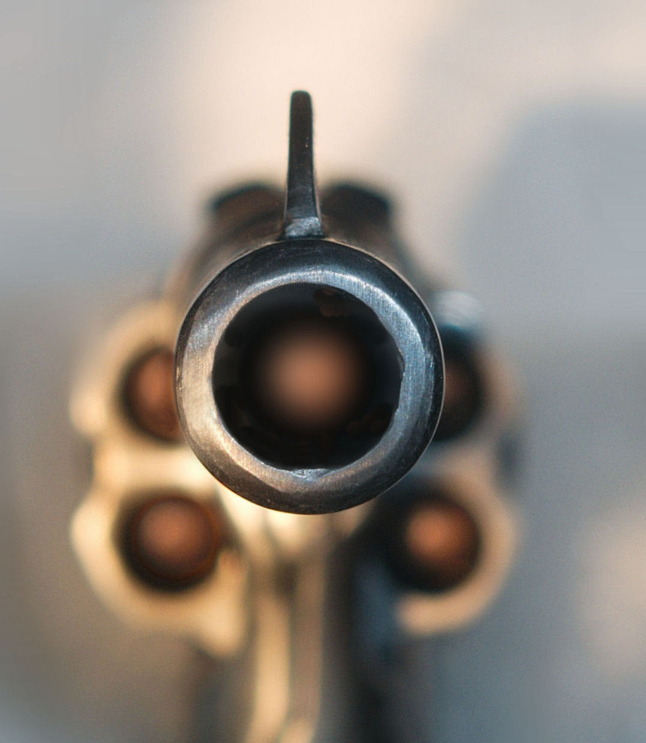 There is no moral justification for shooting someone who has not initiated force against you. And despite the fevered rantings across some blogs or websites, someone voting, legislating, thinking, or writing in a way you don't like is not initiating force against you. I may have more to write on this later because it touches on something I've been thinking about a lot lately. Maybe it is time for the US to break up. If we are at the point where people would rather change representatives by shooting them instead of voting them out then we might need to undergo a resorting and separation. 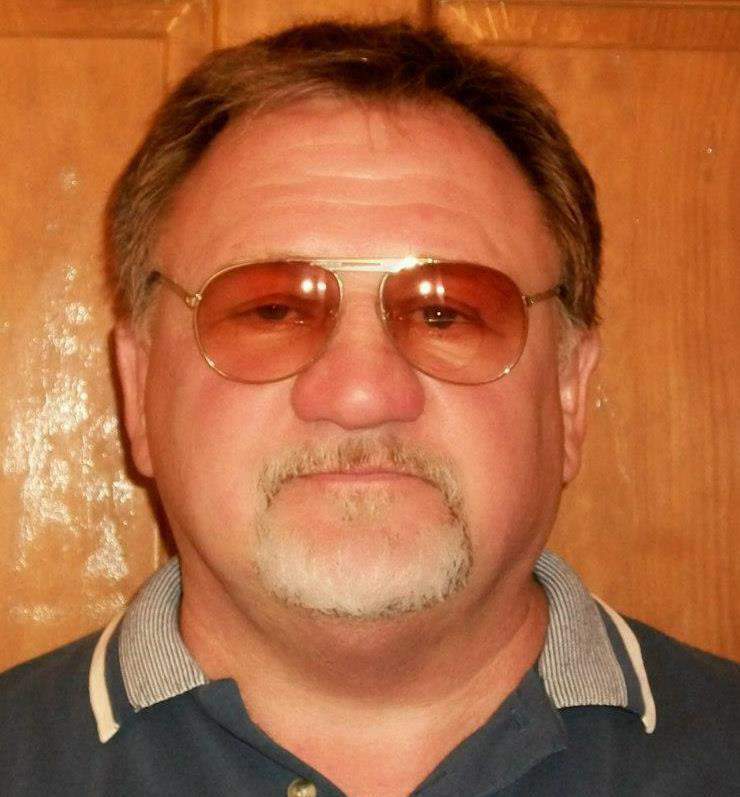 Even if you are a person who despises all Republicans or conservatives and thinks that liberals must be more aggressive and get into conservatives' faces, you should still oppose Hodgkinson's actions and the worldview which nurtured him. I would just ask you to look around and ask yourself which group of people, liberal or conservative, is armed to the teeth, and which one isn't. Consider which group of people, liberal or conservative, makes up the majority of the police and military officer corps. The country as a whole loses if political violence becomes normalized. Some people styling themselves "The Resistance" might discover that they don't have as much muscle as they thought they did once bullets start flying. Again, whether we like it or not, Trump is President. The Republicans hold the House and Senate. The way to change that is to organize and vote in 2018, 2020, and beyond. Throwing tantrums and shooting people won't work. All that does is (1) make conservatives double down on their paranoid persecution complex and (2) invite retribution. When you write posts like this, unfortunately some people tend to think that you're being overly solicitous of racists/conservatives/republicans or other "bad" people. Not at all. Someone can read the various posts on police violence and conservative ideology to see where I'm coming from politically. I do not like Scalise. But it just can't be said enough, shooting people because you disagree with their politics is wrong. And it doesn't matter if your target is a racist Republican or a "virtuous" Democrat. If US citizens can no longer agree on that basic civic principle then we might as well call it a day.